Wessling (Germany), in October 2015 – Open Mind Technologies AG was unveiling hyperMILL® Version 2016.1 at EMO in Milan, Italy.The new hyperMILL® MAXX Machining performance package has been one of the highlights of the event. 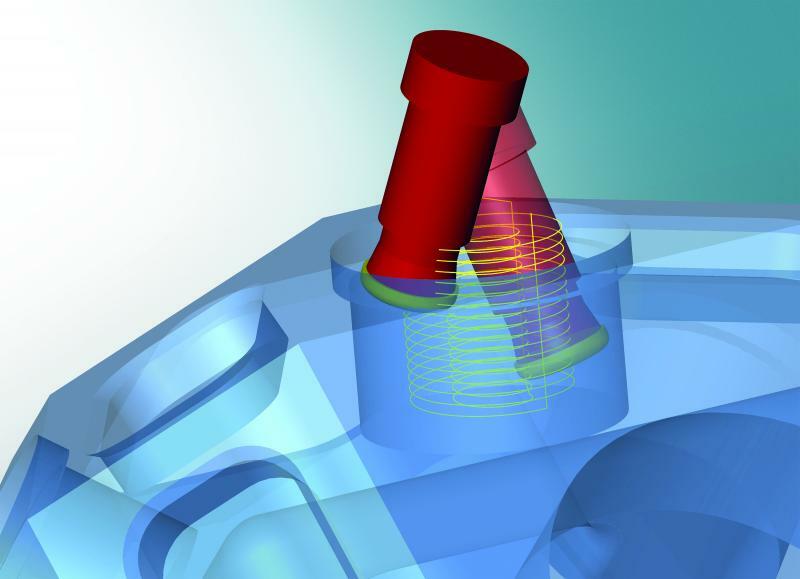 Innovative CAM strategies greatly improve roughing, finishing and drilling performance. form surfaces with various barrel cutters. 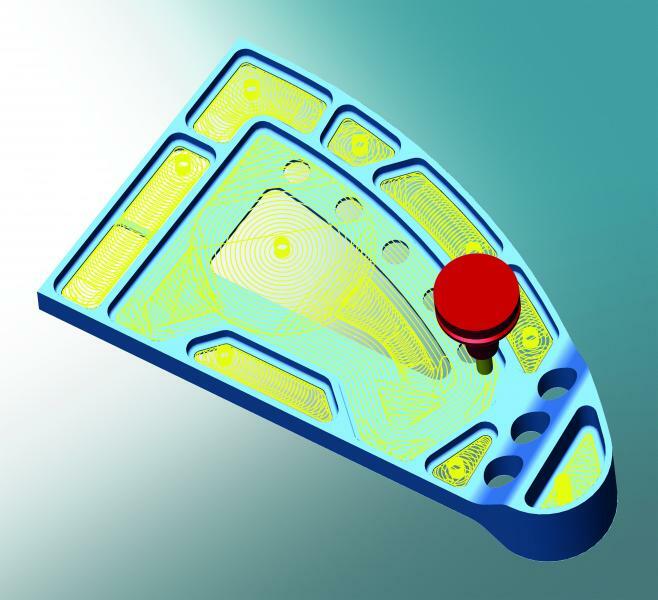 Significant time savings can be achieved with a simultaneous improvement in surface quality. These benefits are accomplished with CAM strategies that use the special shape of the tools to best advantage. The finish depends on the step-over distance and tool radius. The quality of a workpiece surface decreases as the line increment increases, and improves as the tool diameter gets larger. 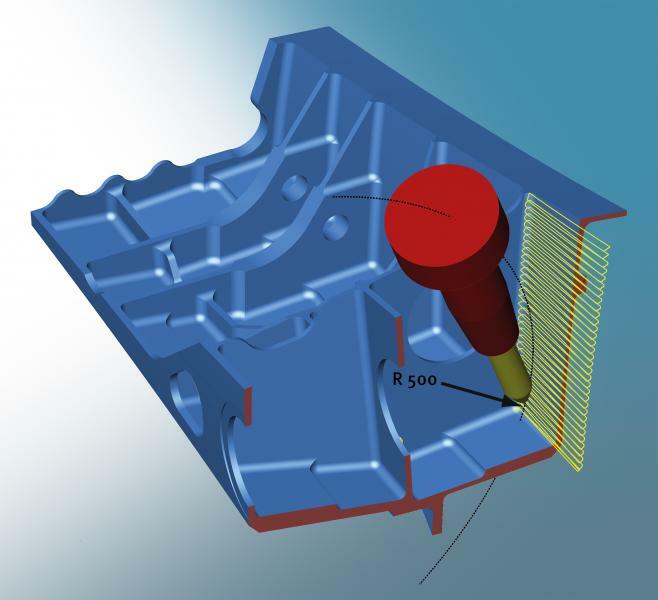 This means that if you want to shorten the machining time by increasing the infeed rate, for example 5 mm instead of 0.5 mm, the tool radius has to be increased several times over to obtain a high surface quality at the same time. Since the tool diameter cannot be increased at will, barrel cutters only work with a section of the desired tool diameter – a circle segment. Larger step-over distances can be realised due to its bigger radius, while achieving high quality surface finish. The hyperMILL® MAXX Machining finishing module realises fast, high-quality machining jobs with general, tangential and tapered barrel cutters. All tool paths are checked for collisions. materials that are hard to cut. The process features safe chip removal and reduces stress on the tool. With the optional hyperMILL® Maxx Machining performance package, OPEN MIND is offering innovative solutions that deliver a significant performance boost. Since cost and time pressures are crucial factors in manufacturing, companies can quickly realise economic benefits with the CAM strategies available with the power package.